My girlfriend and I hadn’t been on a beach holiday in at least two years and so we decided to escape rainy Amsterdam in late September for Sicily. For a while we thought of Sardinia and Crete (Greece) but ended up with Sicily because of the cheap prices for both flights and accommodation. 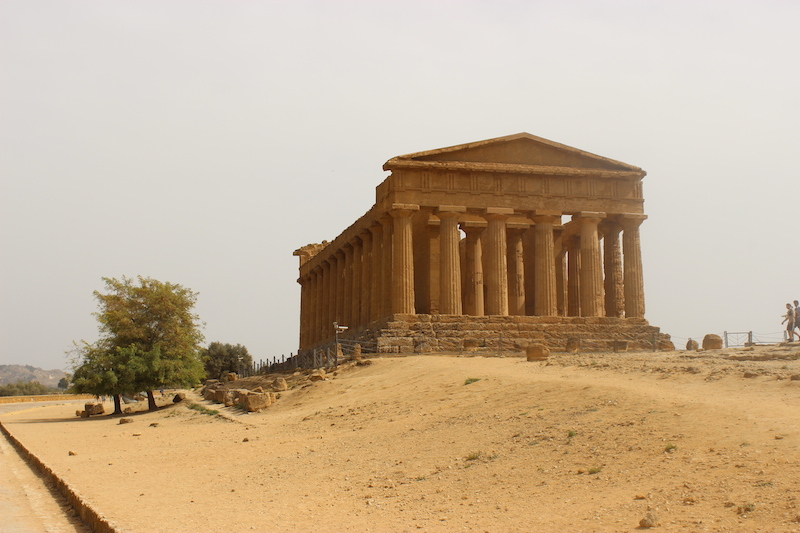 Let’s just say we were not disappointed one bit: we had a great time in Sicily chilling on the many beautiful beaches of the island but also were taken centuries back in time with its impressive Greek archeological sites. 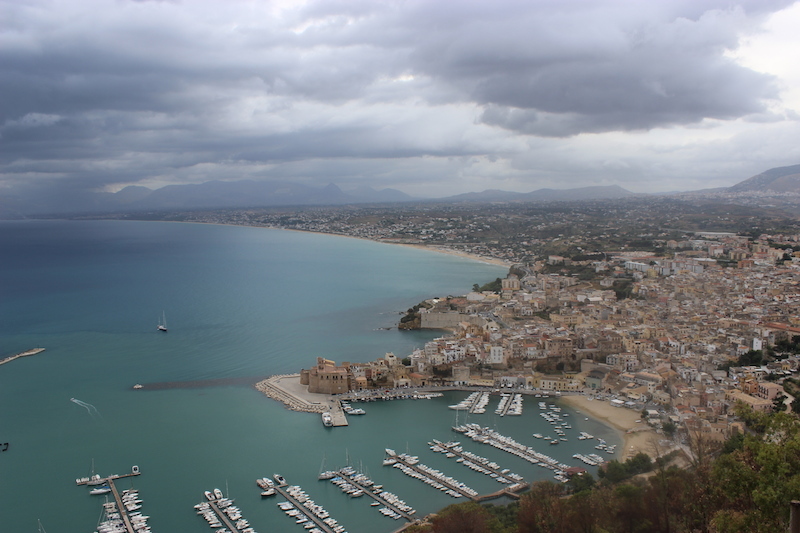 We landed in Palermo and visited the southern part of Sicily (Marinella di Selinunte, Vallei di Templi, Agrigento, Eraclea Minoa) and the north-west (San Vito Lo Capo, Scopello, Castellammare del Golfo and Zingaro nature reserve). It’s a pity we didn’t see the east (Syracuse, Mont Iena..) but for this we would have needed at least one extra week. Read below for our full Sicily trip report and don’t forget to check out our photo album! Please feel free to ask us questions in the comments section. We started our trip to Sicily in 1 week in Palermo. After landing in the afternoon, we picked up the rental car (a Peugeot 107, although we were hoping for one of these nice Fiat 500s like we had in Tuscany) and headed to Marinella di Selinunte. This charming seaside town is located in Southeastern Sicily about one hour away from Palermo. The drive was pleasant although we quickly discovered the reckless driving style of Sicilians. We stayed at the B&B Il Tempio di Hera, which is located near the city centre and the archaeological Greek ruins of Selinunte. The days from Saturday to Tuesday could be summarized in this lazy yet melodious French word inspired from Italian: farniente (fare niente means to not do anything). Every day we chilled on the beach all day, reading and swimming. We only left the beach for some delicious pastas, pizza or arancini at lunch time. In the evening we exclusively ate the most delicious local fresh fish. We highly recommend two restaurants: Boomerang and Frescomare. Both offer a very extensive 8-course fixed menu that will make you discover the best fish and seafood dishes of Sicily: sardines, whiting, red mullet, octopus, swordfish, mussels and many more. Let's just say we had so much fish that on Tuesday we actually had to go for a steak at restaurant Lu Disiu. On Wednesday, feeling perfectly relaxed after four days on the beach, we decided it was time to discover the beautiful spots that Southern Sicily has to offer. We took the car and started with Scala dei Turchi, a beautiful rock formation on the cost of Realmonte. 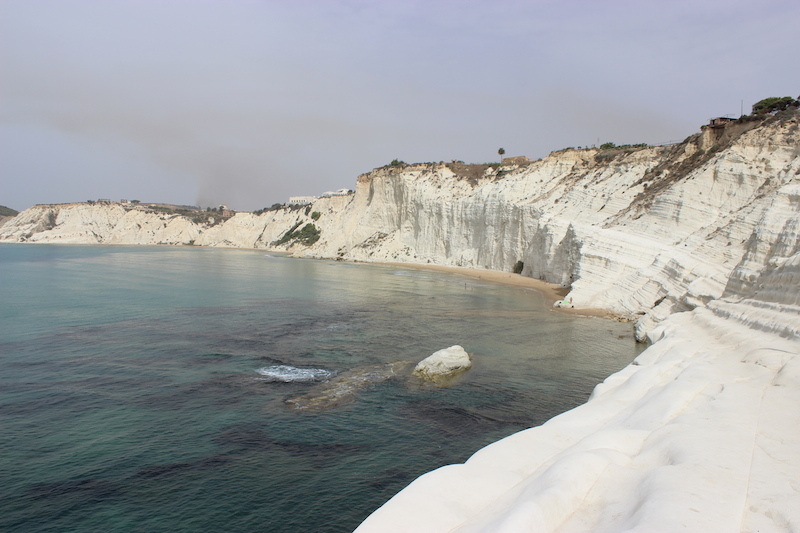 Scala dei Urchi is made of marl, which gives it this very bright white texture. Although we were there at 10:30 AM it was already quite busy. We still had a nice time swimming and laying in the sun on the rocks. 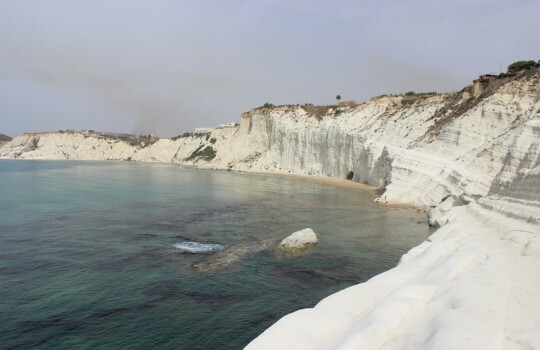 Good to note: if you follow the coast west of Scala dei Urchi, you will see some beautiful sand beaches. It didn't look possible to access these beaches by descending from Scala dei Urchi but there should be a way to go there by following the normal road. 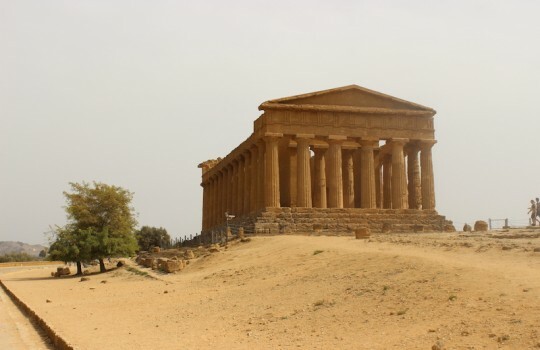 After Scala dei Urchi we drove to Vallei dei Templi (Valley of Temples) in Agrigento. The entrance costs 10 euros and gives you access to one of the most important archeological site for Greater Greece art and architecture (UNESCO World Heritage site). The Temple of Concordia, perfectly preserved although it was built in the 6th century AD, is especially impressive (see photo). A word of advice: if you visit Vallei di Templi during the hottest part of the day, make sure to wear a hat and carry a lot of water as there are only a few areas protected from the sun and the total walk is somewhat long. For lunch we had some simple but tasty shrimp pastas at La Posata Di Federico II in the city centre of Agrigento. We then headed back to Marinella di Selinunte, not without stopping at Eraclea Minoa. 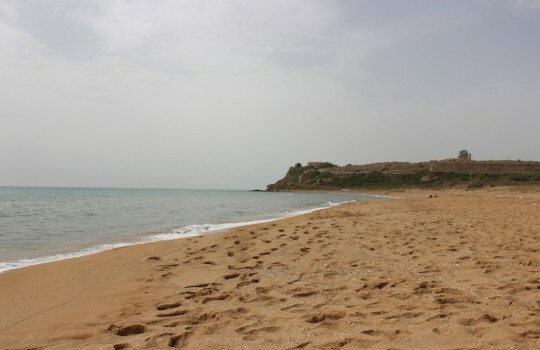 Another important archeological site of Ancient Greater Greece, Eraclea Minoa is a beautiful village with a one of the best beaches we have seen in Sicily (see photo here). 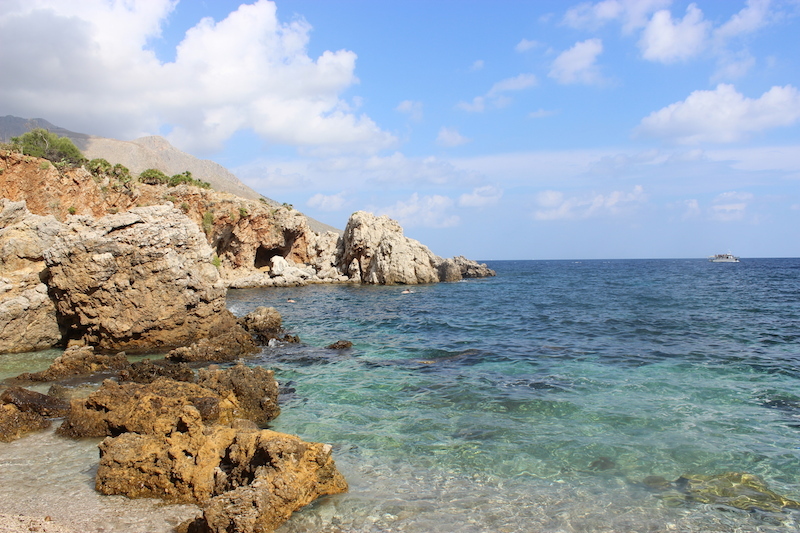 On Thursday we left Southern Sicily and Marinella di Selinunte for San Vito Lo Capo in the northwestern part of Sicily. 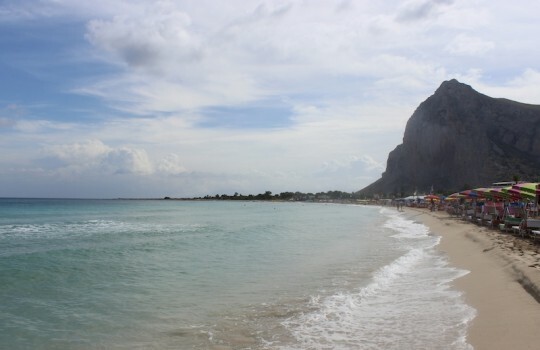 San Vito Lo Capo is famous for supposedly having the best beach in Sicily. This is certainly true: the beach of San Vito Lo Capo is just marvellous with the finest white sand you could ever imagine. Unfortunately, because of a rebellious sun the picture I took of San Vito Lo Capo doesn't do much justice to the beauty of its beach and mountain range that surrounds it. San Vito Lo Capo is not Sicily's best-kept secret and, thus, is very crowded: we were there on a week day at the end of September around 10:30 AM and yet it was already difficult to find a quiet place on the beach near the water. Nonetheless, this is a breathtaking spot that should be on any Sicily itinerary! We were lucky to visit San Vito Lo Capo while the famous city's annual Couscous fest was taking place so we had some nice chicken couscous for lunch. 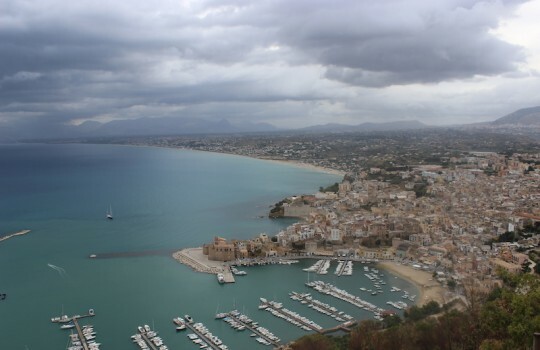 We then headed to Castellammare Del Golfo where we had booked a very nice residence (Lu Baruni) located between the city centre of Castellammare del Golfo and the village of Scopello. In the evening, as part of our fish rehab, we had burgers with Sicilian wine (nero d'avola) at Cantina Aurelia Wine Bar and a gelato (ice-cream) for dessert at Gelateria Vernaci. 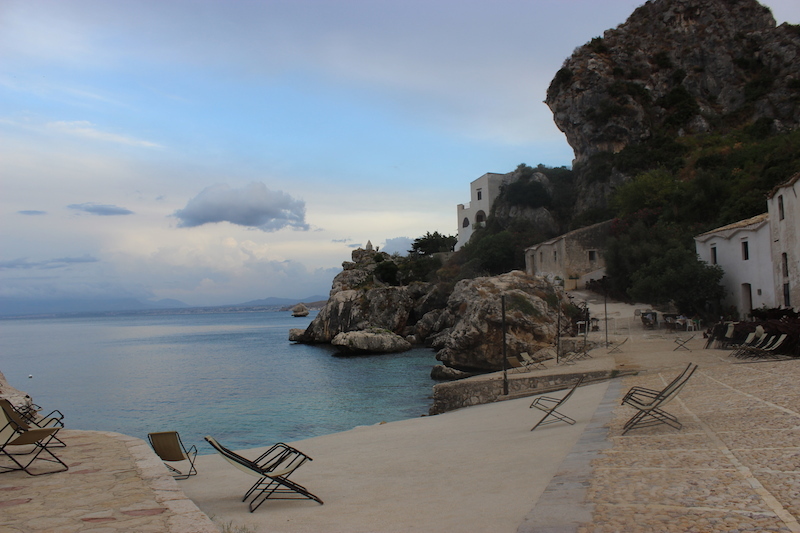 Brace yourselves for the highlight of our trip to Sicily in 1 week: Riserva naturale dello Zingaro. 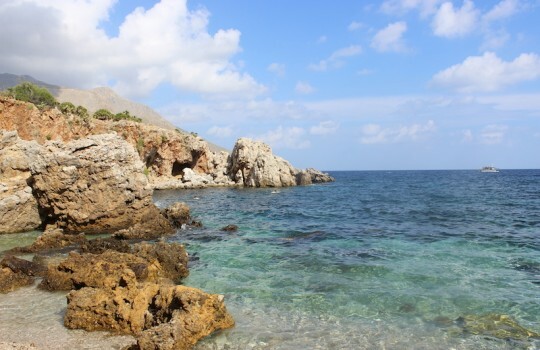 Lo Zingaro Nature Reserve is located exactly between Castellammare del Golfo and San Vito Lo Capo. Therefore, at some point plans were made to build a motorway to join the two cities. Luckily, a strong mobilization prevented the project from happening and instead the first natural reserve of Sicily was created in 1981. Lo Riserva naturale dello Zingaro is an amazing place with hiking trails for all levels. The coastal way is especially beautiful with many pristine beaches and charming creeks blessed with the clearest blue water. We started hiking around 10:00 AM from the south entrance that is located about 15 minutes by car from Castellammare del Golfo, right after the village of Scopello. The total hike from south to north is 6 km with a very small elevation. It's not a circuit so you have to retrace your steps, which results in a total hike of 12 km. Not bad for a sports parenthesis in this beach holiday! It was a lazy hike though with a lot of swimming breaks. We stopped on the way to the north of Zingaro at Calla della Disa (picture) and Cala dell'Uzzo and on the way back at Cala Marinella and Cala Berretta. Cala Tonnarella dell'Uzzo, the nearest beach from the north entrance, also looked amazing with its fine sand but there were too many people so we didn't stop. We finished our hike around 15:30 and had some late lunch in Scopello. If we had more days to spare we would certainly have spent more time in Zingaro and explored the interior trails of the nature reserve, likely more generous in flora and fauna - the humid microclimate of Zingaro is a haven for more than 650 plant species and at least 39 bird species. In the evening we had dinner at L'Isola del Gusto in Castellammare del Golfo. 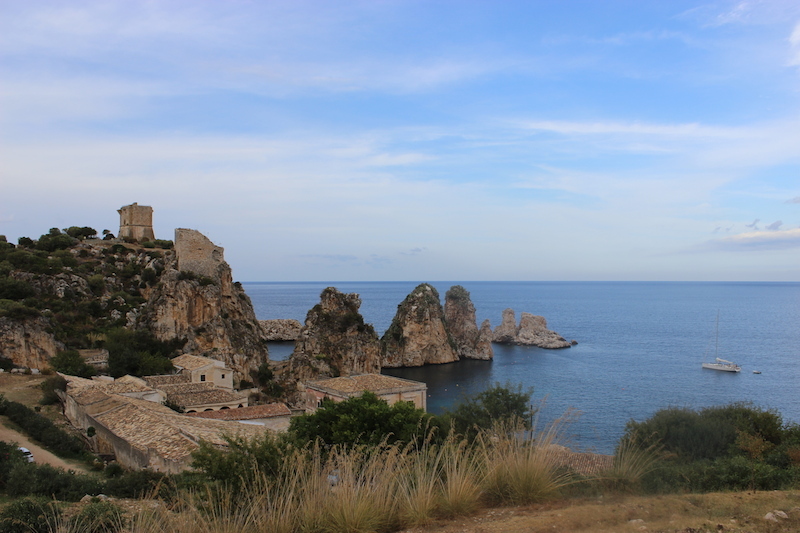 On Saturday morning we went to Tonnara di Scopello, the marvellous spot where you can observe from close those legendary rocks featured on many Sicily postcards (see main trip photo). This place is just divine. The site is property of a fishing company whose old classic buildings are surrounded by beautiful rocks emerging from the dark blue waves of the Tyrrhenian sea. There's a direct sea access to swim in the creek formed by the rocks. Note that there's a 3.50 euros-entrance fee and that the nearest authorized parking lot costs 1 euro per hour. In the afternoon we headed to the beach of Castellammare del Golfo located 5 minutes away by car from the town's centre. There we had some nice pastas for lunch at Lido Pirata. We then spent some time perfecting our tan on the beach and swimming. The beach of Castellammare del Golfo is quite huge and has sand unlike most of the beaches in the area. We then visited the centre of Castellammare del Golfo. The castle, the port and the historic centre are especially interesting. In the evening, we were lucky to find a nice place in Scopello for dinner - Bar Nettuno - where we had the most exquisite pastas of our Sicily trip (make sure to ask for them to the waiter as they are not on the menu). Finally, the next day we got up early and flew back home from Palermo, feeling relaxed but, most of all, highly impressed by Sicily and the breathtaking beauty of its historical sites and natural spots.